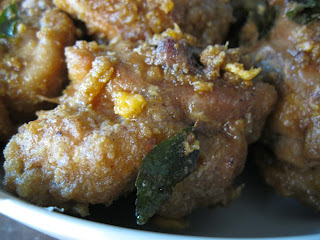 When i saw this recipe at Wendy blog.I tak boleh tahan.Hahaha....Because i love salted egg very much.I plan to cook this on Chinese New Year.So yesterday i try it 1st.Taste very good.I think my family will love it. 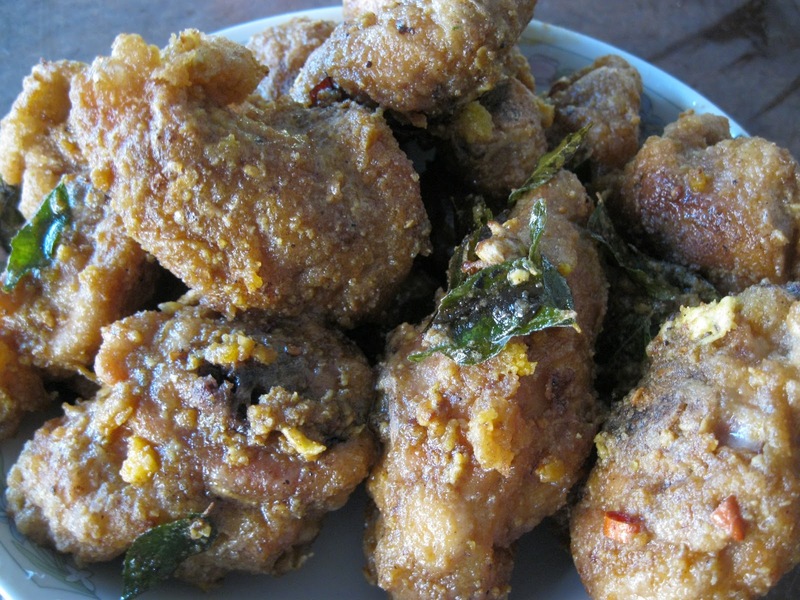 Mix chicken with salt and pepper.Then put in egg white.Marinate for 1/2 to 1 hour.After that coat chicken with tapioca starch.Deep fry the chicken until golden and crispy.For best result use pot to deep fry the chicken.It more crispy and save oil. In wok put in oil and butter.Put in curry leave and chili padi.When they are fragrant,put in salted egg yolk and cook until it fragrant.Then turn it to low heat and put in milk and sugar. Turn back to high heat and cook until very bubbly.Then put in chicken and toss until well coated.